Your generous gifts make a real difference to individuals, families and Christians in Iraq and elsewhere in the Middle East and help promote reconciliation efforts throughout the region. 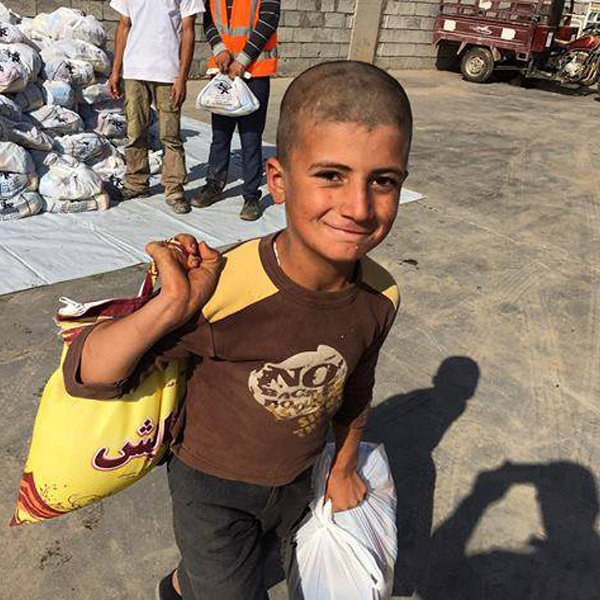 An IDP boy smiles as he takes food provided by the Foundation to his family. Give Securely Online, Right Now.